Hackney has refused all members of the public the right to speak at the Council "Extraordinary" Planning Committee meeting tomorrow (reported here). The meeting is to allow Rothas Ltd, the developer of a proposed 19-storey tower block on Kingsland High Street, exclusive access to present the merits and benefits of its scheme to the Council's Plannning Committee. The Committee members will then be entitled to discuss and comment on the developers plans. Any member of the public attending must remain silent. 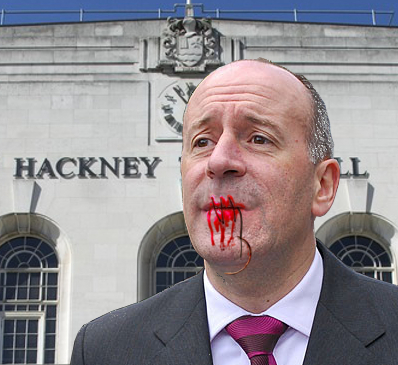 Would Hackney's Mayor Jules Pipe feel he had been stitched up and silenced at the Plannning Committee meeting tomorrow ? The Council's Constitution presently forbids lobbying of Planning Committee members before a planning application is formally made and considered. Its policies also enshrine the duty of the Planning Committee to act fairly and impartially as between developers and residents. . A change in Hackney's Constitution requires a vote of all members of the Council. Senior planning officers have persuaded the Committee that its new "pilot scheme for pre-application meetings" with developers is within the rules. 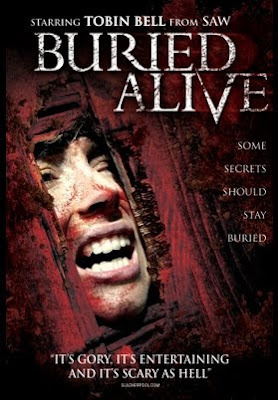 The last time the developer applied for planning permission, with the support and recommendation of Council planning officers, the Planning Committee members threw it out unanimously. The Council hopes that the new "pilot scheme" will avoid such "misunderstandings" in the future. I am ashamed of the Council decision to silent people: THIS IS THE CLEAR PROOF OF WHY THEY WANTED PEOPLE TO REMAIN SILENT, NOW WE KNOW, THEY WANTED THE SCHEME TO GO THROUGH... CORRUPTION?? Are we " building the slums of tomorrow" ?